As always I'm completely on the ball when it comes to posting my monthly favourites and this month is no exception. Boots Botanice Eye Make Up Remover- a bit of a cult product in the blogging community and it deserves all the praise it recieves. However note this is the old packaging/formula which I am raving about- not the new formula. This is a lifesaver after a night out and you've had one too many lemonades, soak the pad in product place on your eye for a few seconds and BOOM eyemake up gone. However this may be a slight exageration if you go for the racoon look as favoured by me on a night out. Louise has done an overview on the new formula in this post. Clarins Gentle Foaming Cleanser- Now this is my new full size bottle and throughout the back end of July I've been using a sample of this. WHERE HAVE YOU BEEN ALL MY LIFE. I could be here all day raving about this, but you will have to wait for my upcoming review. 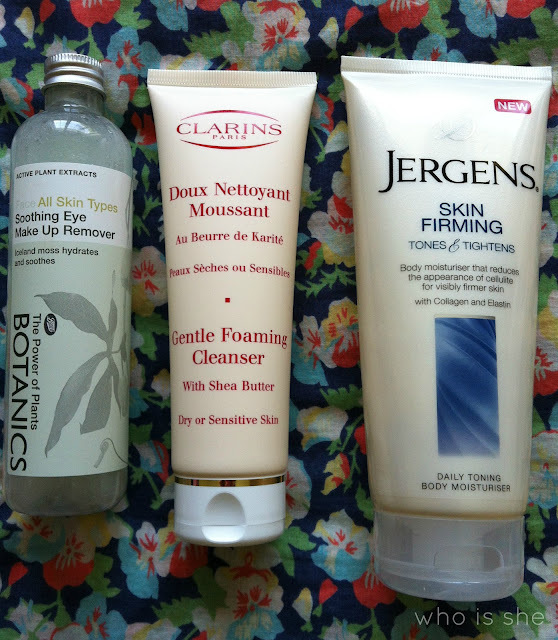 Jergens Skin Firming Body Moistursier*- I reviewed this here, and this has been my body moisturiser of choice over the last month. Absorbs straight into the skin and smells lush. Highly recommend. 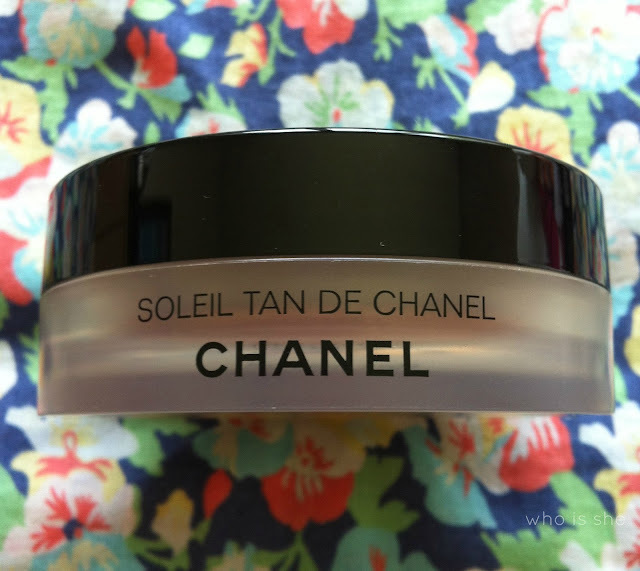 Soleil Tan De Chanel- Bronze Universal- I said I'd buy it if I got the job, and well as I got the job, I couldn't go back on my promise could I? Well I've only used this on two nights out and I have to say it bloody lives up to the hype. I'm going to do a more indepth review once I've used it a few more times. 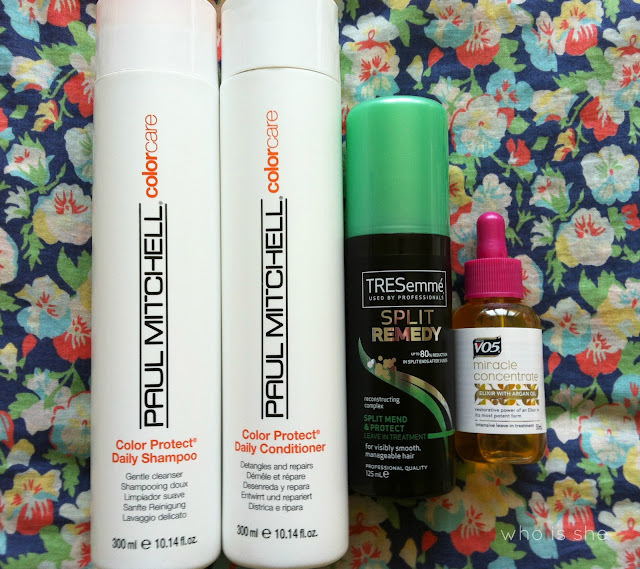 Paul Mitchell Color Care Shampoo and Conditioner*- my shampoo/conditioner of choice this month. Really enjoyed using this and its removed the product build up. I've reviewed these here. Tresemme Split Remedy Leave in Treatment and VO5 Miracle Concentrate- I don't really want to say too much about these as I have reviews coming up next week, but over the last few weeks before getting my hair cut and coloured these two products have helped get my hair back into tip top condition. By no means have they healed by split ends, however they have made them less noticeable and more managable to work with until I got my hair cut. Here's a little hint too- they work really well on hair extensions. ohh i bought some jergens hand cream and youre right their products do smell gorgeous! I really wanted to try the old Botanics makeup remover! I rather like the v05 oil as well. Got the tresemme split ends mask today, can't wait to use it, is that sad?? I'm gonna try the VO5 oil, i feel like my hair is awful at the minute!